I’m sorry I used that phrase lightly. Waiting is so hard. It’s the worst. For any of you who have had to wait and wait for test results; or to meet the right person; or to get pregnant; or for anything you have struggled waiting for: I am so sorry. I’m sorry that you have to answer the same questions over and over. I’m so sorry that people don’t understand you and they are worried about you for all kinds of reasons that hurt your feelings. People say weird things and make weird jokes to tell you indirectly what they really think, and some people just straight out give you dirty looks. Some people treat me like waiting to have the baby naturally is going to kill my baby. And I have had to second guess myself over and over and over day after day. What’s wrong with me? What’s wrong with my body? Is there something wrong with my baby? Is it going to die? Because I’m past my due date. I have gone in for the non-stress test, NST, which is when they use ultrasound to track the baby’s heart rate for 20 minutes and measure how much amniotic fluid is around the baby. The baby is great. Everything checked out normal, healthy, and great. Just 35-40 years ago, women did not have to struggle the way I am struggling, with this looming due date and pressure to force labor to begin. I’m scared something is going to go wrong. I’m scared that there is something wrong with the baby. I’m terrified by how long this pregnancy is going, and I’ve done this before! I am scared to go through contractions and pushing and getting the baby out. You’d think I would be feeling great about it. After all, I’ve done this four times already. My doula friend told me that these fears might actually be preventing me from going into labor, and I should meditate on why I feel afraid and unprepared. So that is what I am doing today. You might be wondering, “Why don’t you just induce?” or “Why are you being stubborn?” Well, I have done it this way four times and I have been extremely happy with how nature takes its course, once things get going. It is very gradual, gentle, and manageable. It is the way I have been trained. To me, to interfere with nature is more dangerous than waiting–as long as the baby is checking out to be fine in the NST. It takes so much faith to do it this way. So much faith in God, the baby, and my body. And maybe I am a little stubborn and idealistic too. I still think it’s true that when we have to wait for things, we appreciate them more. But that is something we learn in retrospect. 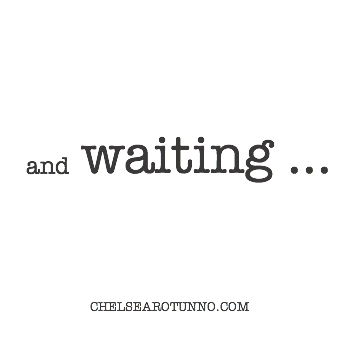 In the moment we are waiting, it is the most unfair, difficult, character-revealing time. And it goes on and on, unending, seeming to lead only to disappointment. So we have faith in God alone. Who else knows and sees all things? Who else has the power over life and death?